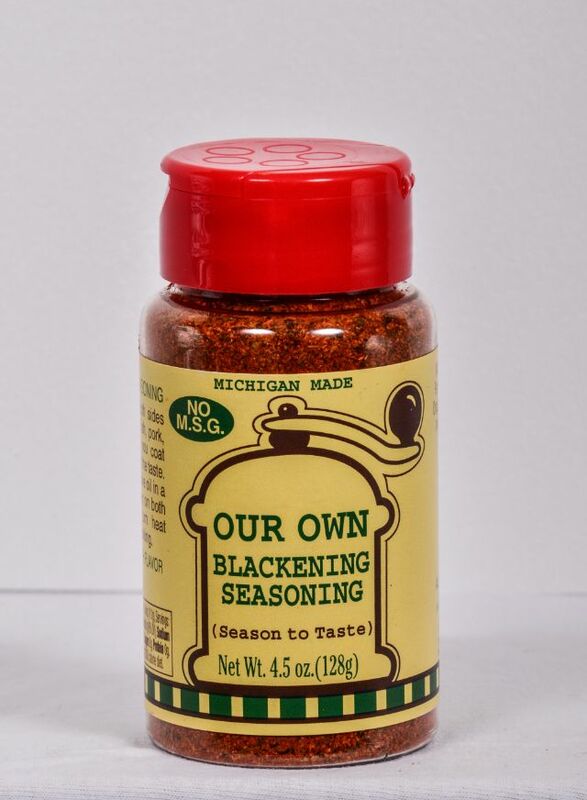 Our blackening seasoning was created for flavor! 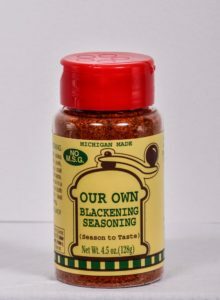 Most blackening seasoning use mostly cayenne pepper for their flavoring. Not ours! 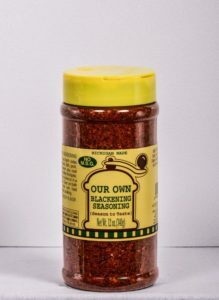 This unique blend of paprika, cayenne pepper and herbs and spices creates a mouth watering blackened flavor. You can use sparingly for those who are not crazy about blackened food and create a nice flavor. Or you can use like us blackening lovers and put a good coat on both sides of the meat, let stand 1/2 hour and cook as desired. Wow, now that is flavor! Try blackened chicken alfrado. Kosher Salt, Paprika, Black Pepper, Garlic, Oregano, Red Pepper, Marjoram, and other Herbs and Spices.